I am confused about the repolarization abnormalities that occur in conditions other than acute M.I. (Bundle branch block and hypertrophy, for example). I have been taught that the repolarization abnormalities should point opposite the MAIN part of the QRS, but also I have been told that they should point opposite the TERMINAL deflection of the QRS. Which is right? Jerry W. Jones, MD FACEP FAAEM is a diplomate of the American Board of Emergency Medicine who has practiced internal medicine and emergency medicine for 35 years. Dr. Jones has been on the teaching faculties of the University of Oklahoma and The University of Texas Medical Branch in Galveston. He is a published author who has also been featured in the New York Times and the Annals of Emergency Medicine for his work in the developing field of telemedicine. He is also a Fellow of the American College of Emergency Physicians and a Fellow of the American Academy of Emergency Medicine and, in addition, a member of the European Society of Emergency Medicine. Dr. Jones is the CEO of Medicus of Houston and the principal instructor for the Advanced ECG Interpretation Boot Camp and the Advanced Dysrhythmia Boot Camp. Which Direction Should the Repolarization Abnormality Point? OK. You've got an abnormal QRS complex followed by a repolarization abnormality (RA). Which direction should the repolarization abnormality point? As a young resident, I was taught that the RA should point in the direction opposite the terminal deflection of the QRS complex. But years later, I see other physicians stating that the repolarization abnormality should point opposite the main deflection of the QRS complex. Which is correct? The answer is both are correct. Why? How? Right Bundle Branch Block (RBBB) - When you look at the QRS complex in V1, you see an R and an R'. 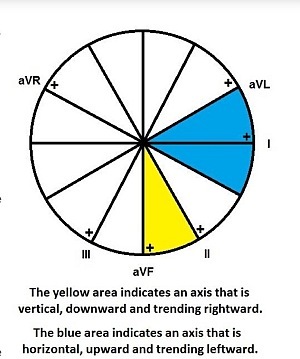 The R represents left ventricular activation while the R' represents right ventricular activation. So, the problem lies in the right ventricle represented by the R'. The repolarization abnormality reflects the problem in the RV so it should be opposite the R' which is always the last deflection in V1 in the presence of RBBB. 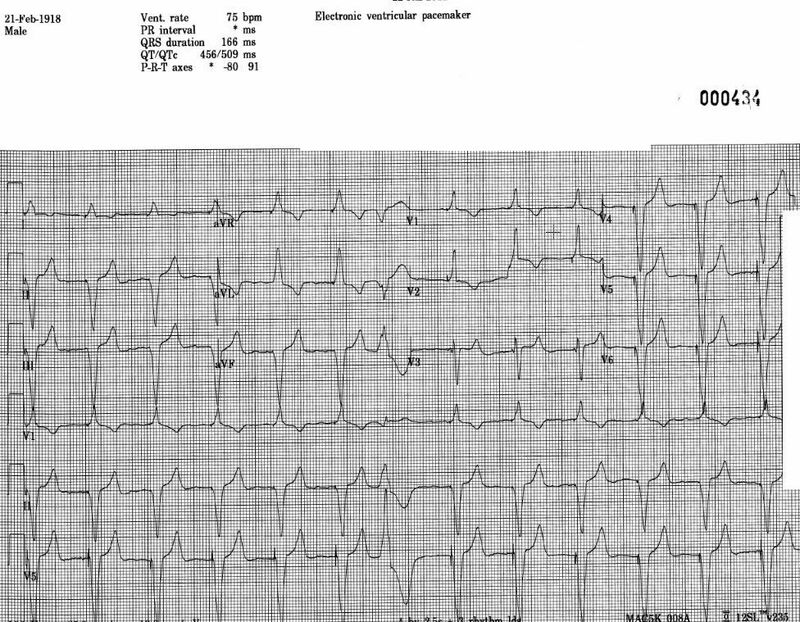 Therefore, in cases of RBBB, the repolarization abnormality is always opposite the terminal deflection of the QRS. Left Bundle Branch Block (LBBB) - When you look at the QRS complex from V6 which has a LBBB, we see a relatively tall, upright monophasic QRS complex. Part of that QRS represents right ventricular depolarization and part represents left ventricular depolarization. But how much of which? We don't know, but all we need to know is that this is a monophasic complex and it is upright. Therefore, since the repolarization abnormality reflects the problem in the left ventricle, and the LV is represented somewhere in that monophasic R, the repolarization abnormality should be opposite the main deflection. Therefore, in cases of LBBB, the repolarization abnormality is always opposite the main deflection of the QRS. Left Ventricular Hypertrophy (LVH) - When you look at the QRS complexes from V5 and V6, we see a relatively tall, upright monophasic QRS complex. Part of that QRS represents right ventricular depolarization and part represents left ventricular depolarization. But how much of which? Again, we don't know, but all we need to know is that this is a monophasic complex and it is upright. Therefore, since the repolarization abnormality reflects the problem in the left ventricle, and the LV is represented somewhere in that monophasic R, the repolarization abnormality should be opposite the main deflection. Therefore, in cases of LVH, the repolarization abnormality is always opposite the main deflection of the QRS. Right Ventricular Hypertrophy (RVH) - The same concept discussed regarding LVH applies in cases of RVH. Therefore, in cases of RVH, the repolarization abnormality is always opposite the main deflection of the QRS. Ventricular Pre-excitation - Most people reading ECGs don't realize that ventricular pre-excitation can also produce a repolarization abnormality. Just as repolarization abnormalities are not always present in cases of LVH and RVH, they are not always present in cases of ventricular pre-excitation, either. However, the repolarization abnormality IS present in some cases. The RA is connected to the ventricle containing the accessory pathway, but don't worry: you don't have to determine which ventricle that is. If a repolarization abnormality is present in a lead, it should be negative if the delta wave is positive and vice versa. Therefore, the repolarization abnormality points opposite to the direction of the delta wave. So, the question really isn't whether the repolarization abnormality should be opposite the terminal or the main deflection of the QRS. It should be opposite the deflection that represents the involved ventricle. Dr. Jones, can you help me understand refractory periods better? I find that a difficult topic to teach, and there are so many different terms used to describe refractory periods. If you do any reading of the vast amount of literature regarding ECG interpretation, you have certainly encountered the terms effective refractory period and functional refractory period. In introductory courses, we learn about the absolute refractory period and the relative refractory period, but no one ever teaches the effective and functional refractory periods. Most definitions are confusing and incomplete, so I have written a short monograph on this topic. The effective refractory period is basically the same as the absolute refractory period – but there is a slight difference! The absolute refractory period is a physiologic state – it begins with the onset of the action potential at Phase 0 and represents the period involving all of depolarization and that part of repolarization during which no amount of stimulus can result in another action potential. The effective refractory period tries to define the absolute refractory period in more realistic, practical terms. The effective refractory period also represents the period during which a typical impulse cannot produce another action potential. So how does this differ from the absolute refractory period? To understand this, we must now jump to a better understanding of the relative refractory period. 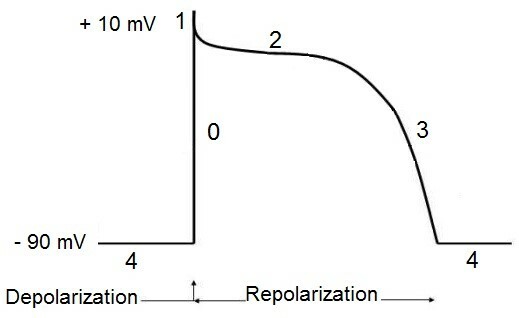 The relative refractory period begins at the point that a maximal stimulus is able to initiate another action potential. The key phrase here is maximal stimulus. If a maximal stimulus occurs one-millionth of one millisecond after the end of the absolute refractory period, another action potential will be generated. But for that action potential to occur, that stimulus will have to be at its maximum amplitude because the threshold potential will be much closer to zero potential than it usually is, thus requiring much greater amplitude to initiate the action potential. But most Phase 0 depolarizations do not result in maximal voltage. Many times, the arriving impulse does not have a full complement of sodium channels to open, so even though the “all-or-nothing” threshold is reached and an action potential is generated, that action potential has less-than-maximal amplitude. When that is the case, the impulse will have to occur further and further into the relative refractory period before threshold is reached and an action potential is generated. So while there is most definitely an absolute refractory period with a definite end to it, as far as an individual patient is concerned, the “absolute refractory period” may not end until some point well into the relative refractory period. So, for that patient, his/her effective refractory period may be a bit longer than the actual absolute refractory period. The absolute and relative refractory periods are real phenomena. They are also observable phenomena: we can see that an atrial impulse arrived during the absolute refractory period of the AV node or His bundle because it failed to conduct in spite of more than adequate voltage. We can see that an atrial impulse arrived during the relative refractory period of the AV node or His bundle because it conducted with a prolonged PR interval. But observing these phenomena doesn’t really tell us exactly where the absolute refractory period ends and the relative refractory period begins. In the diagram above, there are 5 equal, vertical lines representing paced impulses (S2) following Phase 0 (S1) of the action potential. Only a line crossing through the curved line representing the relative refractory period has reached threshold and will result in an action potential. Here, only the 5th line breaches the relative refractory curve, so it conducted. The length of the effective refractory period depends on the strength of the stimulus being used and the length of the coupling interval (number of msec between S1 and S2). If the stimulus is not very strong, the effective refractory period will be measured well into the actual relative refractory period before a depolarization appears (as in the diagram above). If a stronger stimulus is used, a depolarization will be produced earlier and the effective refractory period will be shorter and more representative of the absolute refractory period. Also, if the coupling interval is rather long, the last non-conducted S2 may occur well before the end of the absolute refractory period. So it’s possible that the effective refractory period may actually be measured as being longer or shorter than the absolute refractory period. Although the effective refractory period and the absolute refractory period are not always exactly equal, for practical purposes they can be considered almost the same (since the electrophysiologist’s attempts to measure the effective refractory period are obviously much more precise than depicted in the diagram above). The terms are frequently used interchangeably in the literature but now you understand the subtle difference. 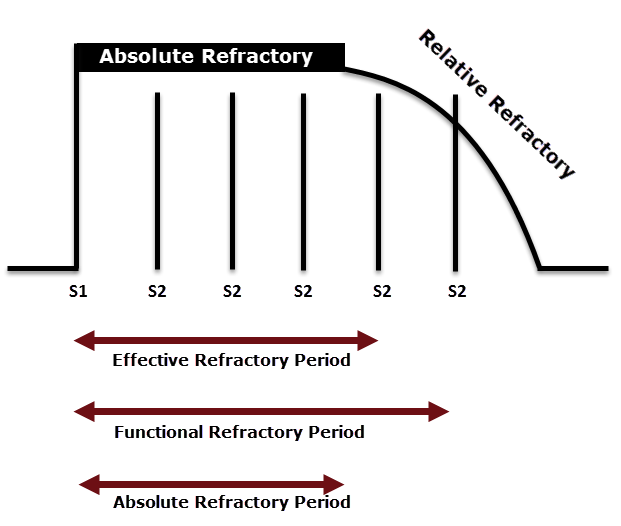 Many people make the mistake of thinking that if the effective refractory period is “basically” the same as the absolute refractory period, then the functional refractory period is the same as the relative refractory period. Nothing could be further from the truth! The functional refractory period and the relative refractory period are not at all the same, though they both relate to the point during the action potential in which an extra-strong stimulus can result in a depolarization. The functional refractory period is the electrophysiologist’s attempt to measure the distance from the onset of the action potential to the onset of the relative refractory period – not the duration of the relative refractory period! It actually represents the shortest interval between two consecutively conducted, paced impulses (S1 and S2). The relative refractory period begins at the point during repolarization that an exceptionally strong stimulus can initiate a depolarization and it ends (usually, but not always) with the onset of Phase 4. This is not what the functional refractory period measures! The electrophysiologist, however, finds it more practical to measure from a programmed stimulus (S1) that initiates an action potential to the earliest point at which a sufficiently strong stimulus (S2) is able to initiate another depolarization. Thus, the functional refractory period is a measurement between two programmed stimuli – once again, S1 and S2 – and covers all the same territory as the effective refractory period. But again, this determination is voltage- and time-dependent with the strength of the stimulus and the coupling interval (the interval between S1 and S2) affecting where the first depolarization occurs. But note that while the effective refractory period and the absolute refractory period are virtually the same, the functional refractory period and the relative refractory period are measurements of different sections of the action potential. What we think of as the relative refractory period begins, basically, where the functional refractory period ends. 1. The effective refractory period is – by definition –shorter than the functional refractory period if the same stimulus strength and the same coupling intervals of S1 and S2 are used in both measurements. 2. The effective refractory period is (presumably) completely overlapped by the absolute refractory period while the functional refractory period and relative refractory periods overlap very little! 3. Both the effective refractory period and the functional refractory period begin and end with a programmed stimulus. The absolute refractory period and the relative refractory period are surmised based on the duration of the action potential (QT interval) and the response of the heart to the following sinus or ectopic impulse. 4. The effective refractory period essentially determines the end of the absolute refractory period while the functional refractory period determines the beginning of the relative refractory period. The absolute refractory period ends around the time the membrane potential has returned to about -60°. Likewise, that is approximately where the relative refractory period begins. Dr. Jones, what advice do you have for teaching ECG beginners? Even in my advanced classes I begin with "normal" ECGs. Throughout my residency in internal medicine, I was never up at 3 am wondering if an ECG was ABNORMAL ... I was always trying to decide if a finding was really NORMAL instead. I hope some of these comments help you teach those who are just beginning to read ECGs. Can you provide some guidelines on how to convey the large body of information associated with clinical evaluation and management of cardiac arrhythmias from a primary care perspective? Today’s Expert is the ECG Guru’s Contributing Expert, Dr. Ken Grauer. Dr. Grauer has been a leading family physician educator for over 30 years. During that time he has published (as principal author) more than 10 books and numerous study aids on the topics of ECG interpretation, cardiac arrhythmias, and ACLS (including an ongoing Educational ECG Blog) . Dr. Grauer is the Contributing Expert for the ECG Guru. The topic of evaluating the patient with a cardiac arrhythmia – and then formulating an optimal approach to management is HUGE. It encompasses assessing both symptomatic and asymptomatic patients – determining if an arrhythmia is truly present, and if so, whether the arrhythmia is worrisome or benign – and then deciding on whether drugs, lifestyle changes, or referral for specialized EP (electrophysiologic) evaluation is in order. I have developed a 3-part (less than 90-minute) video series that addresses this tremendously important clinical topic from start to finish. Included in these videos are assessment of the patient, arrhythmia monitoring methods, when to refer, and targeted discussion of the most commonly encountered arrhythmias in primary care. These include ectopic beats (PACs; PJCs; PVCs) – ventricular arrhythmias (nonsustained vs sustained VT occurring in different clinical settings) – bradycardias (diagnosis of Sick Sinus Syndrome plus indications for pacing) – MAT – PSVT/AVNRT – Atrial Flutter – and Atrial Fibrillation. Links to these 3 Videos – plus LOTS of additional relevant information (including pdf excerpts available for free download from my ECG and ACLS ePubs on specifics of arrhythmia diagnosis) – is now all available for use on my new clinical arrhythmia webpage, www.fafpecg.com. I hope this material is helpful to you in your teaching! The beauty of these videos is that content is appropriate and understandable for primary care providers of virtually any level or degree of training – and that by assignment, learning can be entirely self-instructional OR under your direct guidance and instruction. P.S. I am still finishing a Power Point Show (without audio) that you can use if you choose to teach this subject yourself using my slides. This should be completed soon. The rest of this web page is finished and READY for use. Your comments and feedback is WELCOME! Question: As a fairly new educator in the telemetry/medical unit or Emergency Department, what steps would you suggest taking in helping new nurses to the unit understand ECG Interpretation? Darlene Hutton has worked in CCU, ICU, PACU, and Emergency as a bedside nurse, educator, and manager. She is currently working as a Clinical Research Manager at Rouge Valley Metabolic Research Associates in Toronto. Darlene also is an Educational Consultant providing workshops, seminars, and conferences on such topics as ECG Interpretation, Dysrhythmia Interpretation, Acute Coronary Syndromes and Cardiology Drugs. She is also an ACLS Course Director and runs courses throughout the province. Her company, QRS Educational Services, founded 18 years ago, provides education to nurses and other health care professionals throughout Canada. She is also the Department Head for Emergency Preparedness in the O.R. in the American College of Plastic Surgical Nursing journal. As an independent educator for the past 20 years, I have had the incredible pleasure of spending time with novice to expert nurses in their respective field from a variety of different hospital settings. My response to this question comes from what I have learned from each of these individuals over the past 2 decades. We know that the “expert” practitioner is sometimes not the best educator because of their own challenges in bringing the information to a basic level of understanding. What makes an educator invaluable is their ability to bring the most advanced concepts to the level of understanding for the individual and tailor the education to that level. A novice nurse entering into one of these units will likely have had some courses in rhythm interpretation as a basic entry level requirement. However, I find that many of these nurses have not had adequate preparation time in being able to apply a systematic approach to assessing the 12 Lead ECG. When working in these types of units, promptly assessing the ECG is essential to ensure there is no time delay in notifying the physician of anything urgent. I apply a step-wise approach in ensuring that the basics are understood before moving on to the more intricate aspects of the ECG. 1. Ensure the nurse understands what the P, QRS, and ST represent and their significance, if abnormal. Most importantly, I ask them to point out examples of ST elevation and depression on various ECGs. You would be surprised at how many people do not know this very core concept and before discussing treatment management and complications, this basic concept needs to be well understood. If you only have 30 minutes to spend with a nurse on this particular day, this would be the priority, in my opinion. 2. The next step would then be to assess their knowledge and discuss what’s happening with ST elevation/depression, including the treatment strategies. This can be achieved in 30 minutes to an hour. 3. Third: anticipated complications. I can’t tell you how often I hear nurses want to give a saline bolus to a hypotensive patient experiencing an anterior wall MI. They do not understand the pathophysiology and their actions will subsequently worsen the situation. Apart from cardiac arrest occurring with any MI, I expect that everyone understands the ‘expected’ complications associated with the inferior and anterior wall MI. For this, I keep it very simple so retention of information remains. “The heart is comprised of 2 pumps. If the right pump fails and backs up, what will you notice? Will the chest be wet or dry? (about 1/3 of the group will say wet, which is incorrect). If the left pump fails and backs up (such as in an anterior MI), where does it back up to? Will the chest be wet or dry?” By keeping it simple, the concepts are easier to understand and retain. 4. In many of the hospitals, there is an annual recertification of the ECG basics and this is another opportunity as an educator to assist those who may be struggling. I hope this has helped. Thank you. Question: I teach ECG, but I don't work in a cath lab. What important points would you, as an Interventional Cardiologist, like for me to convey to my students? Today'sExpert is Dr. Stasinos Theodorou. Dr. Theodorou completed his medical training in 2002 at the University of Leicester medical school, United Kingdom. Following his yearlong pre-registration practice he completed his three year general / internal medicine training which resulted in achieving membership of the Royal College of Physicians of the United Kingdom (MRCP UK). He further specialized as a cardiologist within the West Midlands, completing a period of five years specialist training, in the University Hospital of Birmingham, and University Hospital of Coventry and Warwickshire with a subspecialty in interventional cardiology. After completing the necessary official examinations in Ioanina, Greece, he was accredited with the specialty title in Cardiology and returned to Cyprus in 2011. Currently, Dr. Stasinos Theodorou is a member of the Cyprus Medical Association, as well as the Cyprus Society of Cardiology. He is also a member of the European Association of Percutaneous Cardiovascular Intervention (EAPCI), and the British Cardiovascular Intervention Society (BCIS). During his training he has been academically active and has published several scientific articles in well-respected medical journals. He has also participated in medical research trials through his different posts in UK University Hospitals. 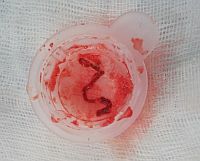 For more from Dr. Theodorou, check his website, Limmasol Cardiology Practice at http://www.cardiolimassol.com and his very interesting FaceBook page, http://www.facebook.com/#!/LimassolCardiologyPractice. The job of the emergency cath lab team is very important, stressful and tiring, but above all rewarding. It’s really a great feeling finishing a case with your patient well and smiling, and his/her family being relieved and thankful. The cardiologist and the cath lab team, however, are the last link in a chain of health professionals to actually be involved. In order for the entire system to function productively every single one of these links has to be in place, doing their job precisely and timely. The patient first of all has to seek attention, let’s say present to casualty. For this to happen there should be some sort of awareness campaign within a community to educate public and warn about the typical symptoms etc. If a patient does not present early it might be catastrophic. The next link in the chain is the paramedic and / or the casualty staff (if the patient self presents instead of calling 911) This is probably the most crucial step in the patient’s journey into the lab and a lot of the credit for saving a life should be attributed to these amazing people who are constantly on the watch! As an interventional cardiologist I want to be called out at any time, ON TIME with as little as possible time wasted. From the moment I receive that call I have 90 minutes (preferably 60 according to recent guidelines) to get that artery unblocked and in these cases “time is muscle”. For this exact reason I expect paramedics, nurses, casualty officers or internal medicine physicians to recognize the trigger points on an ECG and MATCH it to the individual patient’s clinical scenario and if appropriate CALL US IMMEDIATELY! Of course there will be false alarms but I would prefer to have those rather than a patient with a MI sitting on a trolley in ED while his/her myocardium dies. So, when should the cath lab team be alerted? 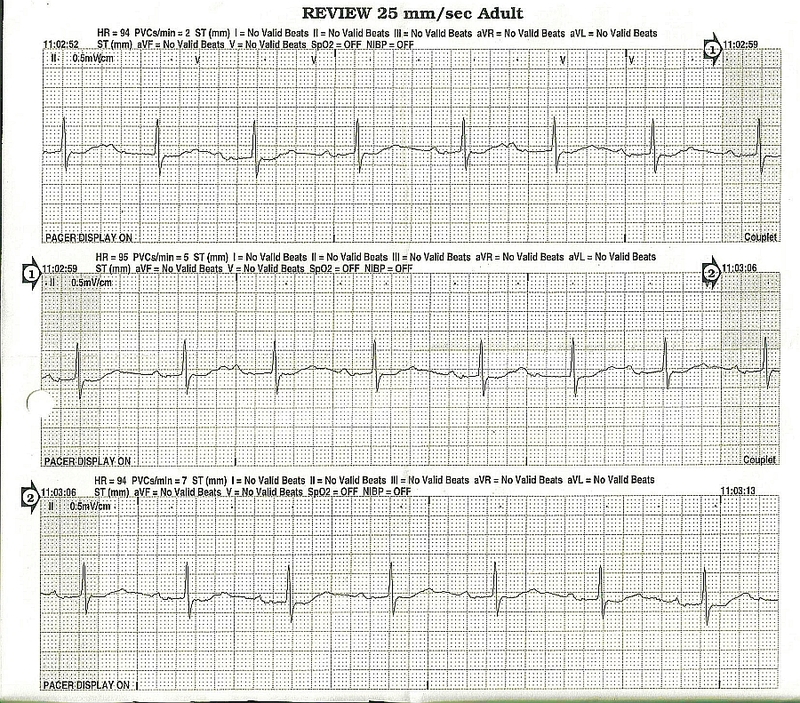 Is the presenting complaint typical of an MI? Is the nature of the pain cardiac, or could it be something else? Getting it wrong at this stage may result in missing other important diagnoses (Pulmonary embolism, aortic dissection, pneumothorax etc) and alerting the cath lab will simply waste crucial time until the appropriate treatment is delivered. If the symptoms are atypical reconsider. An ECG must be obtained within 10 minutes of the first medical contact. 1. ST segment elevation measured at the J point in two contiguous leads. Certain specific voltage criteria apply depending on issuing body (AHA/ACC or ESC) but generally speaking anything more than 0.1mV should be considered as suspicious. 2. ST segment depression in leads V1-V3 (> 0.05mV) with positive terminal T-waves or associated with dominant R-waves in V1-V2. This pattern is suggestive of a posterior STEMI and this can be confirmed by obtaining posterior leads (V7-V9). 1. RBBB shouldn’t hinder the diagnosis of STEMI but patients with MI presenting with RBBB have a poor prognosis. 2. Ventricular paced rhythm. If possible and not time consuming reprogramming the device to evaluate the intrinsic pattern should be considered. 3. Pre-existing LBBB can also impede the diagnosis of an acute MI. Often with acute MI there are marked ST/T changes on top of the underlying LBBB. Conditions that mimic acute ischaemia on a 12 lead ECG. These conditions require careful assessment before excluding acute myocardial ischaemia and a cardiology consultation should be requested. 1. Left ventricular aneurysm as a result of an old, full thickness MI. This is associated with Q-waves in the affected territory. 2. Left ventricular hypertrophy. This could be due to primary hypertrophic cardiomyopathy, severe aortic stenosis or hypertension. 3. Pericarditis or myopericarditis) usually produces a typical appearance of ST elevation (often called “saddle shaped”) which does not fit to a coronary distribution pattern. 4. Brugada syndrome. This is a genetic disease characterised by an abnormal ECG and predisposes to sudden cardiac death. 5. “Takotsubo” or stress-induced cardiomyopathy causes ST elevation with a specific LV pattern (apical ballooning) with normal coronary arteries. 7. Sub-arachnoid haemorrhage can cause ECG abnormalities including ST elevation. 10. ST segment elevation has also been reported in various intra-abdominal conditions, including acute pancreatitis and large hiatus hernia causing cardiac compression. In the presence of typical symptoms, without any of the above patterns the alarm should not be triggered but that does not mean reassurance. If the initial ECG is normal look for hyper-acute T waves which precede ST elevation. If there is ischaemia in the form of ST/T changes the patient should be treated accordingly (Antiplateletes, nitrates, low molecular weight heparin +/- Glycoprotein 2b/3a inhibitor) and a 12 lead ECG should be repeated at regular time intervals. If at any given point the ECG shows one of the above trigger patterns, the cath lab team should be called. 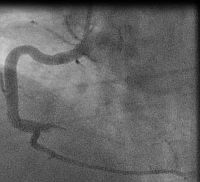 In these high risk, intermediate cases, continuous 12 lead monitoring is preferable but not always available. With intractable typical symptoms of ongoing ischaemia the possibility of occluded non-dominant circumflex artery should be considered which sometimes does not result in substantial ECG changes. In this case I personally feel that the decision to take the patient to the lab should be made by a cardiologist. If the symptoms are very atypical (sharp pain, worse on inspiration, radiation between the scapulae) other diagnoses should be excluded even with a suspicious ECG. A chest X-ray takes less than 10 minutes and can give you a lot of information. At the end of the day I don’t want a patient with tension pneuothorax or dissecting thoracic aneurysm on the cath lab table! (And I did have!!) If the suspicion for aortic disease is high (clinically with the classic signs) a CT scan should be done first. If there is any diagnostic uncertainty a quick, bedside echocardiogram will often provide the decisive information to guide your next move. It may demonstrate regional wall akinesia consistent with MI or point to a different diagnosis such as aortic dissection or even pericarditis. 1. Amylase. You would be surprised how many times I diagnosed pancreatitis as a cardiologist!! 2. D-dimers. A pulmonary embolism is subtle but deadly and not always easy to diagnose. 4. Creatinine Kinase, CKMB, Troponin. It’s never late to diagnose an MI! Your local cardiologist wouldn’t hold you responsible in the absence of ECG changes. 5. Never lose hope!! Do all of the above again if necessary. In fact the easiest case scenario for paramedics and casualty (emergency) personnel is a patient with a straightforward, typical, barn door MI for you to simply pick up the emergency phone and call us! We will do the rest starting from getting a diagnostic angiogram, deciding which is the culprit lesion, aspirating the clot, dilating the stenosis and implanting a stent! And yet the most important job of all is that CALL, without which none of the above would ever happen! QUESTION: Do you have any "tricks of the trade" for teaching complex ECG topics? Our expert today is Dave Richley. Dave Richley worked as a clinical cardiac physiologist, in echo, pacing, Holter etc, for over 30 years in various hospitals in North-east England, but for the last few years he has been employed almost entirely in an educational capacity. He teaches undergraduate and postgraduate clinical physiology degree programmes at Sunderland and Newcastle Universities and is currently engaged in a project with the British Heart Foundation, the UK’s leading heart disease charity, to deliver courses in ECG interpretation to cardiac nurses. His particular interest within the field of electrocardiography is complex bradyarrhythmias and conduction disturbances. For teaching all but the simplest of topics I am increasingly using pictures. Verbal explanations of ECG phenomena, to those who are not that familiar with the sequence of electrical events and the anatomy of the conduction system in the heart, can be difficult to understand. I have therefore produced a simple picture of the heart on which I superimpose various arrows and other shapes, as appropriate, to help me illustrate various phenomena. Below is an attempt to explain with the help of simple diagrams the different ECG manifestations of complete AV block at the level of the AV node and below the AV node in the ventricles. I have no artistic ability and no special software – I make all my pictures within Powerpoint using the standard drawing tools available. To explain more complex arrhythmias, I need more complex pictures, and I find that laddergrams serve this purpose very well. Convoluted verbal explanations of complicated arrhythmias may just cause bafflement. 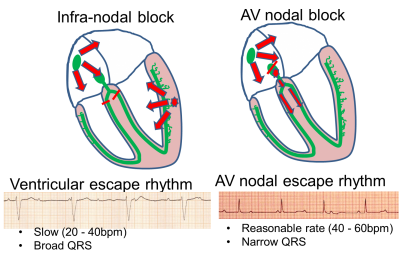 The ECG itself is merely a depiction of the sequence of depolarisation of the muscle mass of the atria and ventricles; crucially it does not explain conduction – or lack of conduction – directly; these phenomena must be inferred or deduced, and the laddergram is excellent for illustrating the origin and direction of propagation (or failure of propagation) of electrical impulses through the heart. Those inexperienced in ECG tend to assume that if a P wave is seen immediately before a QRS, this indicates that the atrial impulse is conducted to the ventricles. Of course, this is usually the case, but in AV dissociation this relationship between P wave and QRS may be purely coincidental. This is a phenomenon that can be illustrated very clearly with a laddergram. I have tried to use the laddergram below to illustrate what is happening in a case of high grade AV block, with the blocks of pink representing ventricular refractoriness. There are no rules governing laddergrams, just conventions, and I think that people should be free to construct them as they wish in order to illustrate the explanations they are trying to convey. The only absolute requirement is that the deflections of the ECG must be exactly simultaneous with the corresponding lines on the laddergram. There are several ways of constructing laddergrams; my own method is to produce them within Powerpoint by inserting shapes – mostly just straight lines – and copying and pasting them into the correct positions. With practice, this can be done quite quickly.